Clears browser history, cookies, cache etc. 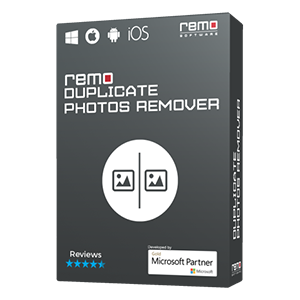 Remo Privacy Cleaner is the best application for permanently deleting all the traces of your browser activities, program / App activities, system activities etc. Such activities include browser history, download history, cookies, cache, auto-complete forms, passwords, temp files, Run history, recent items, clipboard, Recycle Bin / Trash and many other unwanted yet private and sensitive information. 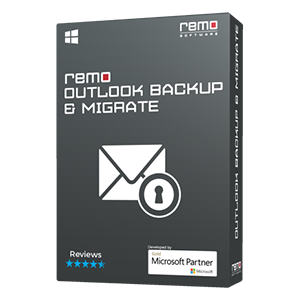 Thus Remo Privacy Cleaner helps you to keep your privacy intact. 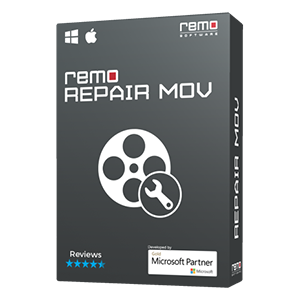 It supports the latest Windows and Mac OS Windows 10, Windows 8 & 8.1, macOS High Sierra, Sierra, El Capitan, and earlier versions too. 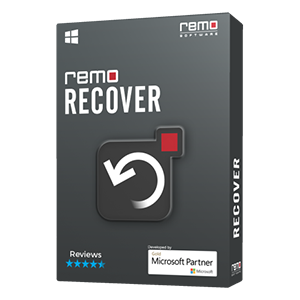 Remo Privacy Cleaner also helps you to clean free disk space present in your Windows hard disk, so that deleted files and folders can be erased permanently. Moreover the application comes with an easy-to-use interface, making the entire process simpler and effortless. "One Click Clean" option to erase junk files, browser activity, cookies, download history, recent items, temp files etc. in just one click. "Clean PC Junk" option to delete junk / temp files, run history, document history, clipboard, recycle bin etc. "Clean Browser Junk" option to delete browser history, cookies, cache, address bar, autocomplete form data, passwords, download history etc. NOTE: "Free Disk Space" option is not available in the Mac version. "Scheduler" feature to clean browser history, download history, cookies, program activity, temp files, cache, recent items etc. at a scheduled time. It can be scheduled to daily, weekly or one time basis. In "Clean PC Junk" option, you will get 4 more items which can be cleared; i.e. scan disk history, clear network credentials, clear registry and clear clusters. 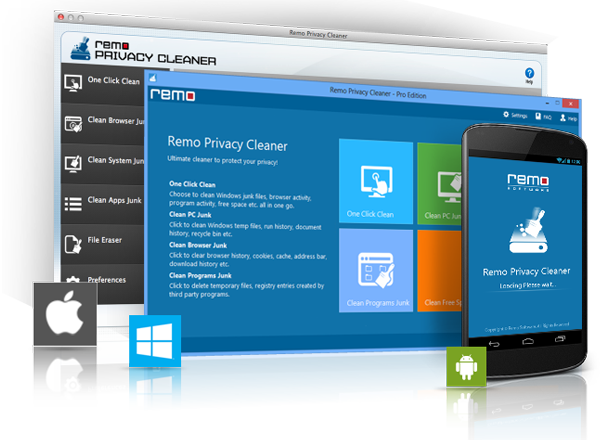 Visit Remo Privacy Cleaner for Android page to learn more about its advanced features for protecting your smart phone and tab's privacy.